Today I am joined by my good buddy and California hog hunting guide, Tony Lombardi. If you guys want to go on a hog hunt you need to go with Tony. I did a hunt with Tony 3 years ago and we have been close friends ever since. He’s a great guy and has some killer hog hunting in Cali not only with a ton of hogs but it is beautiful country hunting pigs in rolling hill country of California. In this episode, we chat about hunting in California and cover everything from hunting as a resident to applying as a non-resident. We cover public land pig hunting and even applications for access. Whether you are a resident or a non-resident you should pull some great info from this episode. 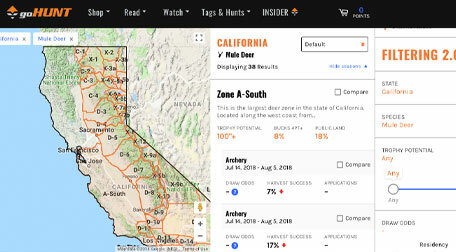 GoHUNT.com just added California to their growing list of states and did a great job with the launch. I can’t say enough good things about goHUNT.com, they continue to add new states and grow their information. If you listen to Tag Tuesday, you need a goHUNT account. That is all there is to it, I use goHUNT religiously and I love the platform. If you fancy yourself a hunter, you need to go sign up for goHUNT and become an insider member. Use the promo code TRO when you sign up and you will automatically get $50 to use in the gear shop. Today’s episode also brought to you by GoWild App. GoWild is the Fastest-Growing and Most active app for hunters, anglers, and Outdoors enthusiasts. Thousands of people joining weekly. Most major social media platforms have strict anti-hunting and anti-firearms policies. When you use those apps, they make money in advertising, which they in turn use to expand a platform that doesn’t support hunting. GoWild not only supports hunting but donates revenue back into conservation groups and organizations like Raise Em Outdoors, which is helping teach kids to hunt and fish. Log time. Earn points. Get bragging rights. GoWild isn’t about your follower count, it’s about your hard-earned GoWild Legend points. Over time the app will be adding functionality to reward users for their time outside, so start logging your points now. In this episode, Mr. Hunt DIY himself Zach Bowhay joins me to talk about how to plan a DIY Antelope Hunt in Wyoming. This information generally works for most any state but I wanted to cover Wyoming specifically to pair it with our Tuesday episode of application strategy in Wyoming. With Wyoming draw deadline at the end of May, I wanted to make sure all of those who have an interest going on a great antelope hunt this fall get the info and start planning now. Probably the two most important tools I would consider in setting up a DIY Antelope hunt and we talk about at length in this episode are goHUNT.com and On X Maps. Both of which will make doing a DIY Antelope hunt out west so much easier. In fact, Having ON X Maps is pretty much a must on most any Antelope hunt in the west as you can pretty much guarantee that most anywhere you find antelope it is going to be checker-boarded in bits of BLM ground. I also rely on On X to Scout units and help me make decisions on which unit to apply for. Like I said if you want to plan an Antelope hunt get yourself a goHUNT account and On X account. Our TRO code works for both and will save you some money. Overall I highly recommend an antelope hunt if you have never been. It is a super fun hunt, and with a couple buddies, you can make it a trip of memories that will last a lifetime. Today’s episode brought to you by iSocialboost. Right now Instagram is one of the biggest social media platforms and continually growing. If you are looking to get your name or your brand out there. Whether you are looking to grow your small business or even just grow your personal brand. Building a solid organic account is a great way to get yourself, or your business, in front of more eyeballs. iSocialboost can help you grow your account. They are dedicated Instagram specialist and they really help you grow your tribe in an organic way, which means you are getting real followers. Followers that actually fit with your brand. Instagram is such a great way to get your small business or your personal brand out to the world and I highly recommend anyone looking to do either get serious about growing their reach. iSocialboost is helping me get my new Backcountry Fuel Box in front of thousands of people who would genuinely be interested in the box, which is such great brand awareness. If you are interested in growing your small business or just want to become an influencer in the Outdoor industry head over to iSocialboost.com Use the Code TRO and get 80% off your first week. They are so sure you will love it that they are basically giving it to you for free. Try it out. This episode brought to you by On X maps. On X is the most trusted private/ public mapping system available and any more I don’t go anywhere without my On X maps. The On X Hunt app available on your phone turns your smartphone into a handheld GPS that works with or without service. With over 400 map overlays the possibilities are endless. I love the ability to switch from topo to satellite, to hybrid modes, allowing you to see actual terrain thickness. The On X hunt app allows you to share locations with your buddies extremely easily and I find myself using this feature all the time. You can also log into your On X account from multiple sources allowing you to scout from your desktop or tablet and explore with confidence with your smartphone or GPS. On X membership is a must have for any serious western hunter. Hunt with confidence and know where you stand with an On x membership. 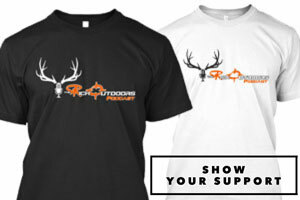 Save 20% off your membership when you sign up or renew with The Rich Outdoors promo code TRO. 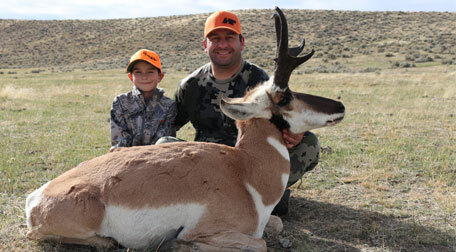 In this episode, Robert Hanneman and I talk about Wyoming for antelope and mule deer. Hanneman has hunted Wyoming a fair amount and just had an awesome antelope hunt down there last year. Wyoming is an awesome state if you want to chase antelope with both plenty of opportunity as well as a trophy. We also cover many of the misnomers about antelope trophies and the number of points required to draw a tag. we also cover some great options for those just looking to fill the freezer and have a fun hunt in Wyoming. Tune in this Thursday as we do another podcast with Zach Bowhay of Hunt DIY on planning a DIY antelope-specific hunt. We also cover Wyoming for mule deer and some things to think about if you want to wait for the buck of a lifetime. Overall, Wyoming is a great state to apply in. With only a couple points you can have a great hunt. Within Wyoming, a true giant in any species could come from just about any unit in the state. Also, for those you who are blessed to have full seasons already, be sure to apply for your points-only starting July 1. Today’s episode is brought to you by Backcountry Fuel Box. The monthly subscription that brings you all kinds of awesome snacks, bars, jerky’s, dehydrated meals and fuel for your next adventure. With hunting season right around the corner, now is a great time to sign up and get a box full of goodies every month for your next hunt. If you were like me, you eat the same thing every season. This year, mix it up and get all kinds of great new brands sent right to your doorstep without having to research and order each individual product. With Backcountry Fuel Box, there is no commitment what so ever, feel free to skip a box or cancel anytime. Head over to backcountryfuelbox.com and get signed up. If you use the TRO code you will save 10% off each month. Today’s podcast is brought to you by GoHUNT.com. GoHunt is a one-stop shop for becoming a better western hunter. Or just becoming a western hunter for that matter. 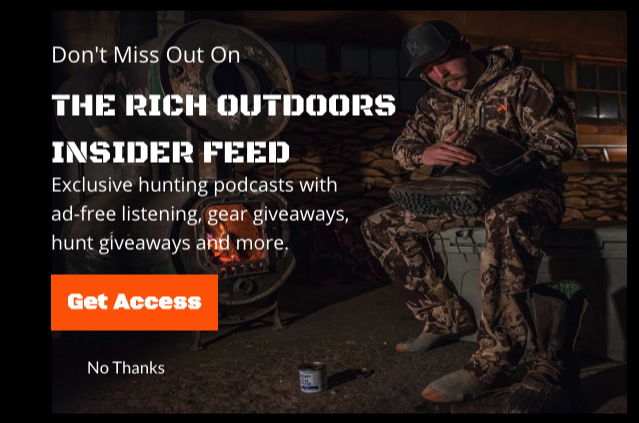 GoHUNT is a membership that gives you access to so much Knowledge from tag strategy articles to gear breakdowns, to hunting tactics, it is an awesome tool and I use it religiously. Take Wyoming, for example, Using goHUNT’s Filtering 2.0 tool I can map out my Wyoming Application strategy super fast and save my self a ton of time. For me, I wanted to hunt antelope mainly for meat but didn’t want to burn my points, so I use the filtering tool to see what units I can draw 100% as a second choice. I can also filter those units by the amount of public land. Combine this with checking OnX Maps and that’s how I selected where I want to hunt antelope this year. There are a ton of other things you could filter by as well from the potential size of the goat, to buck to doe ratio’s, or even season dates. GoHUNT has saved me a ton of time putting together my 2018 schedule this year. Sign up for goHUNT.com it is a great service and I use it all the time. It’s totally worth the money and you help make the podcast possible. Use my code “TRO” when you sign up and you get $50 in your account to use at the gear shop. Today’s episode is also brought to you by GoWild App. GoWild is the fastest-growing and most active app for hunters, anglers, and outdoors enthusiasts. Thousands of people are joining it weekly. Most major social media platforms have strict anti-hunting and anti-firearms policies. When you use those apps, they make money in advertising, which they in turn use to expand a platform that doesn’t support hunting. GoWild not only supports hunting but donates revenue back into conservation groups and organizations like Raise ‘Em Outdoors, which is helping teach kids to hunt and fish. Hey, Welcome to Tag Tuesday! If you plan to hunt in Idaho this year you are definitely going to want to check this episode out. My buddy Zach Bowhay of Hunt DIY and I had some great discussions on choosing what species to put in for in Idaho. Personally, though I have put in for goat almost every other year, I am really leaning toward moose and in this episode, we will talk about why. We also discuss Idaho as a great DIY option with tons of over the counter opportunity. This episode brought to you by goHUNT.com I use goHUNT religiously, in fact, I was running through various filters last night until midnight still trying to make up my mind on what I want to put in for this year. I have an OTC rifle elk hunt planned in Idaho so trying to decide if should try for a better elk tag, try and squeeze in a moose hunt, or if this is my year to draw a goat tag. Honestly, I am booked solid this year with what I think will be some really good, fun hunts. I really don’t know if I can even squeeze in another tag, but the more I play around with goHUNT’s filtering tool the more tags I find and want. Do yourself a favor put more tags in your pocket by getting yourself a goHUNT insider membership. Use promo code TRO and get $50 credit to use on gear in the gear shop. This episode also brought to you by the goWild app. This app is blowing up. It is super cool to see so many of you logging time listening to the podcast on the goWild app. GoWild is such a cool place without the drama. I love seeing everyone posting all of their success photos without a bunch of negative nancy’s ruining it. With the goWild app you sign up and create an account. It is totally free. then you can choose threads to follow or be a part of. From cooking to DIY projects, to big game hunting, and even this thing called fishing. Not sure what that is but sounds cool. You can then log your trophies, scouting or even shooting. It is a cool way to compete with friends. The app is 100% free and is available for Android or iPhone go check it out and if log time listening to the podcast I will send you a free sticker pack! make sure you tag me though. Welcome to the show, I know it is a bit late as we missed the elk and deer draw deadline but this episode is still packed full of useful information. In this episode, we still cover a ton of elk and deer hunting info as well as sheep, moose, goat, and the Unlimited Sheep hunt. I know a bunch of you have been asking about the unlimited sheep hunt, so we dive into that as well. 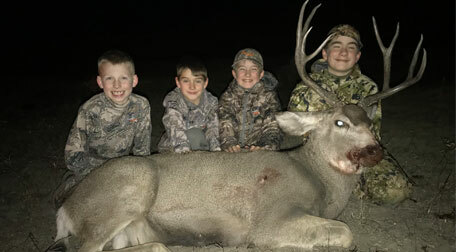 Hanneman also shares some really cool stories including a great hunt with his boys in eastern Montana for mule deer. This episode as with every episode with Mr. Robert Hanneman is a giant knowledge bomb. If you have more questions or want to to see more photos of the hunts we talk about be sure to give Robert a follow on Instagram. Big thanks to the goHUNT.com for making Tag Tuesday possible this year. GoHUNT.com is my go-to tool for finding hunts. GoHUNT is a must have membership, not only for finding and researching new hunts. When you signup for your insider membership you not only get access to the amazing filtering tools but you also get tons of tag application how-tos and strategy articles. Not to mention exclusive deals to the goHUNT gear shop. I use goHUNT religiously and have a pocket full of great tags this year because of it. 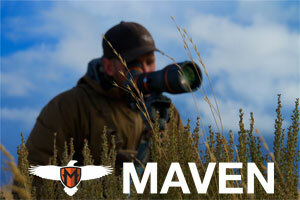 I highly recommend you sign up and I promise it will change the way you research hunts. Use Code TRO and get $50 automatically added to your account to use at the gear shop. This episode also brought to you by my own new project Backcountry Fuel Box. I started Backcountry Fuel Box to scratch my own itch per se, with so many cool companies out there making better products then we have ever had, I wanted a way to test out various companies or even find ones I had never heard of before. All while not having to order each product individually or having to pay to ship on every single product. Enter Backcountry Fuel Box, a monthly box delivered right to your door full of awesome products for your next backcountry adventure. Whether you are looking to just save money on the things we buy anyway or looking to test out new products throughout the year. Backcountry Fuel box is the perfect option. For $33 a month, you will get up to $50 in awesome meals, bars, snacks, and all kinds of goodies. Head over to backcountryfuelbox.com to sign up. there is no commitment what-so-ever, feel free to cancel anytime or pause your subscription anytime. Our goal is to blow you away with the value of the box not trick you out of your money. Use the TRO code and save 10% of every month.